What happens when two core climbers tap into their hidden entrepreneurial ways and put vision to action? Tension Climbing happens. 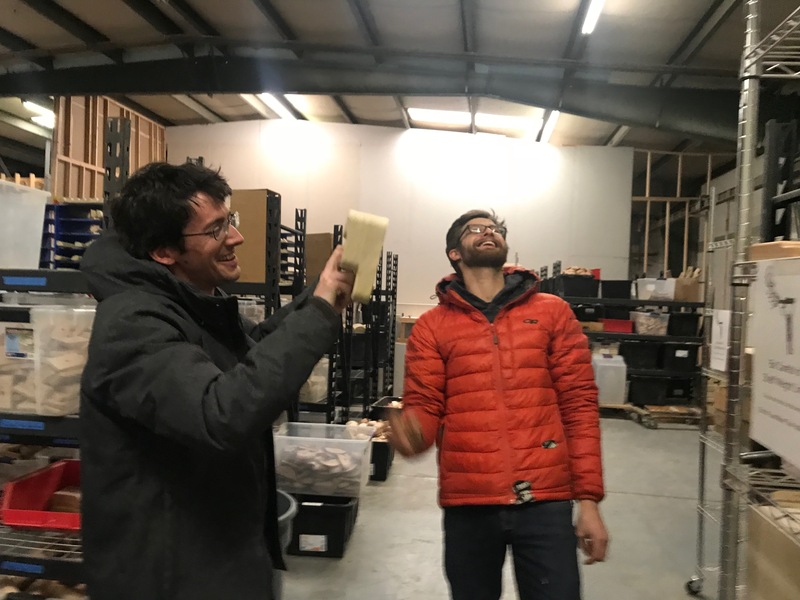 Get to know Ben Spannuth and Will Anglin in this hilarious yet informative blog post on their rapidly growing "mini" company featuring the Tension Board, the Flash Board, and a whole-lotta wood grips! Ben: This is actually about Tension’s transition from making wooden holds to bowling balls. We need people to understand our new direction. We’re going to need a bigger lathe—also—I don’t know how to coat bowling balls. Will: They seem similar to a baseball or a golf ball. There are layers, and a core. Ben: Did you know that the core of a bowling ball is actually not a circle? Will: If bowling was in the Olympics, could you dope a ball? Ben: I think the balls have to be x-rayed before each tournament, to make sure the cores are standard. Will: These are the important things. The bowling ball conversation is followed by an archeological dig of the dust collected in the cuff of Will’s jeans. Will states that he’s a terrible note-taker, and as an alternative, he recalls what he’s been working on by sifting through the sawdust in his pants. We all discuss the possible benefits of creating reverse bell-bottoms. 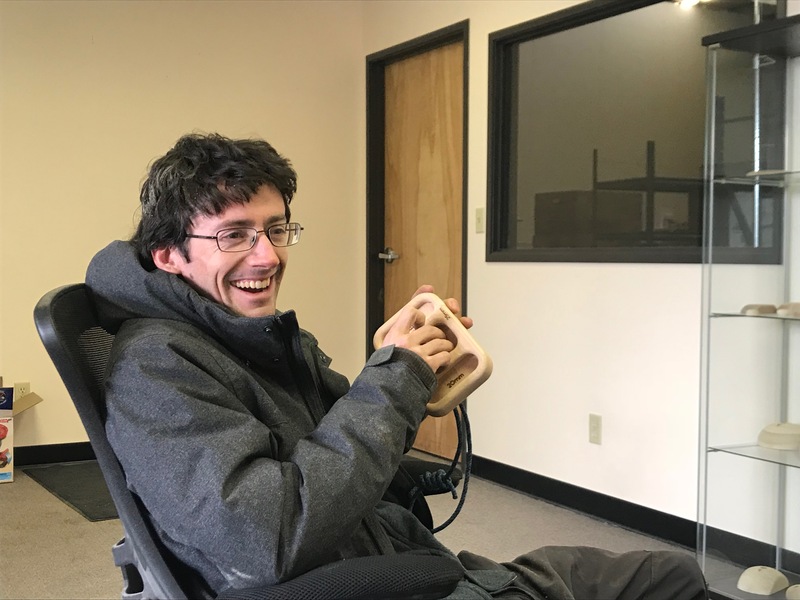 Ben: (Laughter) We talk about wooden holds all day, so when someone comes to talk about wooden holds, it’s the last thing we want to talk about. FL: It almost seems like a shame to bring up the “real” interview questions; we’ve learned so much about bowling balls. But, let’s briefly discuss a few things. When and why did you start Tension Climbing? 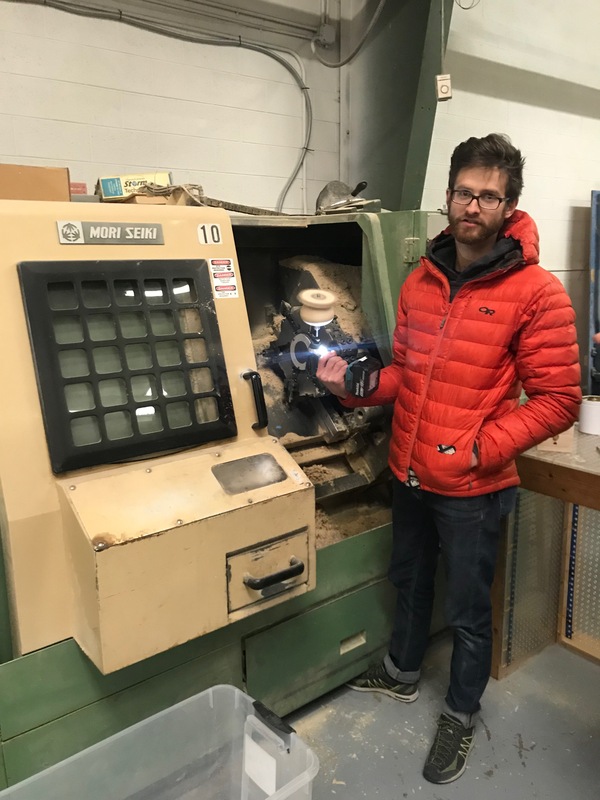 Ben: We started in July or August of 2015, to make comfortable, useful, functional training tools, whether they’re hangboards or climbing holds or campus rungs. Will: Looking back, we started things in a weird direction; we started with campus rungs which were the biggest thing that people didn’t need. That said, no one had done anything differently with campus rungs in years. 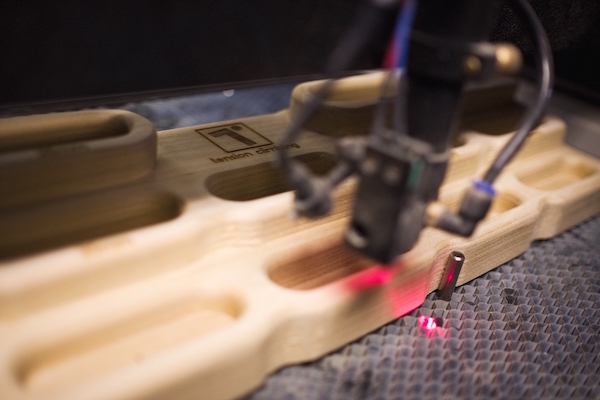 We started making ours with better wood quality, with a more consistent finish. We don’t use laminated material, which means there aren’t gaps or sharp spots. 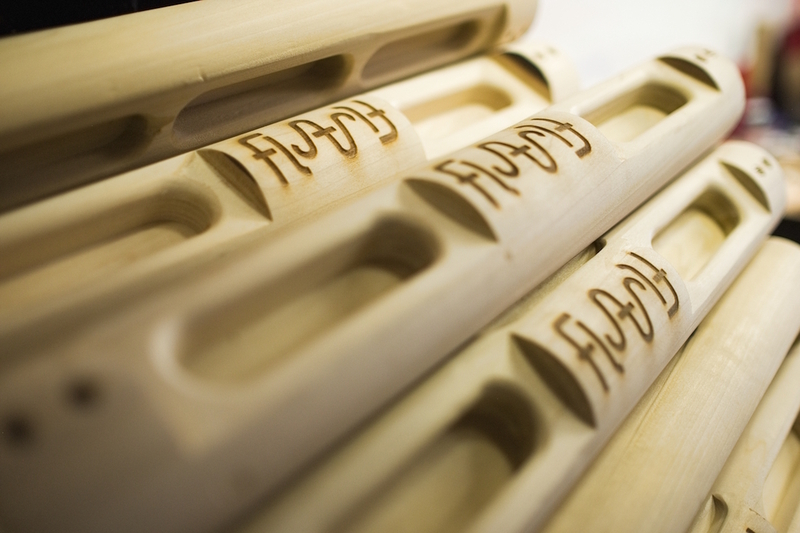 Because our rungs are also single pieces of wood, the finish and profile is really consistent. Each one is hand finished, so they don’t just come out of a machine and go into a box. FL: That’s some pretty serious attention to detail. 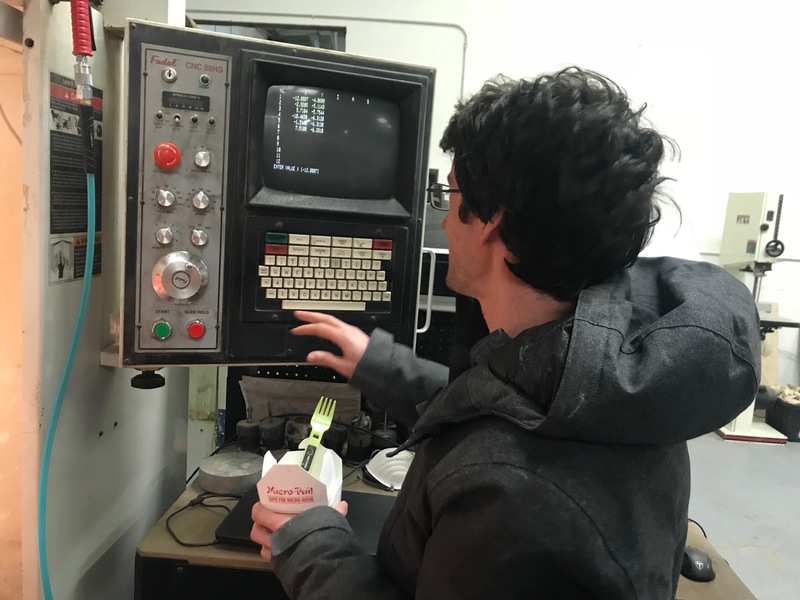 Will: Yeah, every step of the way, a rock climber is deciding whether or not it’s good or a piece of sh*t. We just try to make things as well as we possibly can. FL: Is that why you added an iPhone slot to your hangboards? Don't worry about the baggie anymore, Dawg. FL: That seems like an excellent example of how Tension has evolved. How else has this company changed? Will: Yeah, the fact that we can be sitting here talking to you, and holds are still being made is crazy. FL: Rad. Tell me more. Ben: We didn’t even know what we were going to make 50 of. FL: That sounds indicative of your success. Will: Success is a strong word—but we are selling a lot more wooden holds than we were. The craziest thing has also been the speed at which things have happened. Four months ago I created a “Five Year Dream Shop,” which included that training area over there (gesturing beyond the wall), and that training area is almost done. I don’t know, I haven’t done anything like this before, but it seems pretty fast. It’s been breakneck. FL: Bananas, for sure. What has your trial and error process looked like? Will: In the beginning, the things we were making were completely the wrong wood, the wrong shape, it was bogus. They were so uncomfortable. We’d hang them up, say ‘dammit,’ and go back to the drawing board. Ben: We tried all sorts of different wood types. 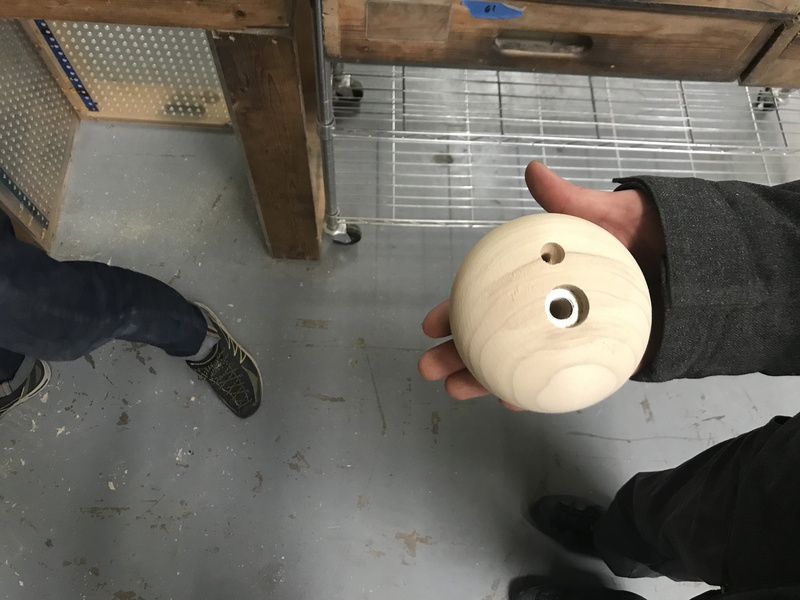 We’ve learned that our favorite for big holds is Poplar because it feels the best, and for smaller holds, Cherry is really good because it machines really well and feels great on the hands. Cherry also smells great. 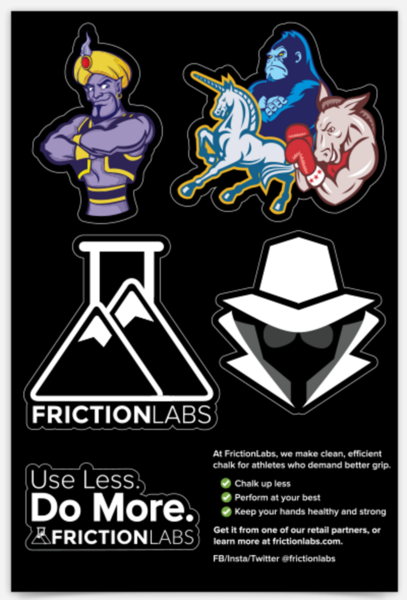 We’re actually one of the main suppliers of scratch and sniff stickers. FL: Tight. I hope that includes old school Lisa Frank. What’s something about Tension that people might not realize? Will: Probably how many different woods we use, and how important the grain is. The grain is directly related to how well the wood takes chalk, and gets tacky. We tried woods at the beginning that we thought would be great because they were really strong, but they had these grain lines which the chalk would stick in. They’d get a sharp ridge caked with chalk that felt terrible. Then we found that the Cherry, Poplar, and Walnut don’t let chalk build up in one area more than another; they really wear in. They feel a little slick at first, and then they get really surprising sticky—especially the Poplar and Cherry. Those are our favorites. FL: What is the start-to-finish process of your holds? Will: The wood comes from Frank Paxton Lumber, in Denver. 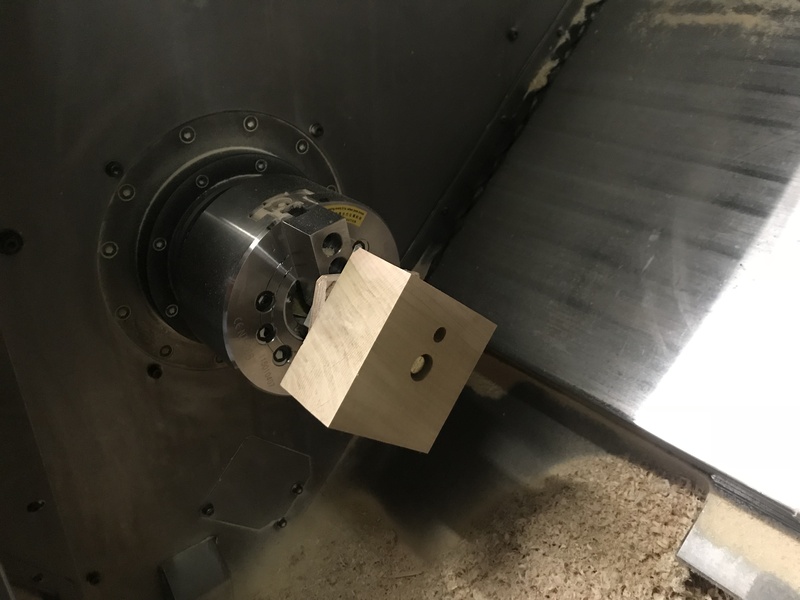 They deliver it, we chop it up, make the outer profiles, mount the pieces into the machines, then they get branded and hand-finished. Our Account Manager at Paxton is actually a long-time climber. 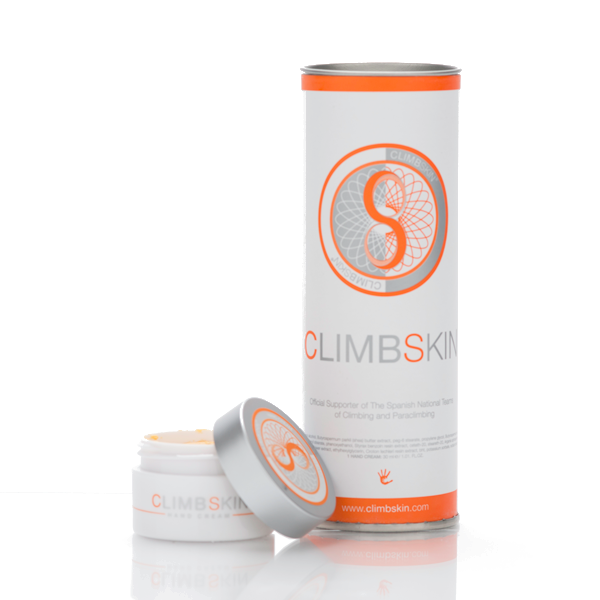 I think it’s awesome that even at the sourcing end, there’s a climber there with climbing in mind. FL: Yeah that’s full circle stuff; climber to climber to climber. Now that we’ve covered the holds and the handboards, let’s talk about the Tension Board. What is its purpose? Will: It’s first and foremost a training tool for climbers. And that’s really what we set out to accomplish from the very beginning. It’s all wood holds because wood holds are better for training and this is a dedicated training tool. We use the 8x12 wall size because it’s three sheets of plywood and very easy to build. It had to be symmetrical to promote balanced training and it allows you to do climbing moves in sets and reps, like you would with weights. You should not just practice moves that suit your strong side. With the Tension Board, you can create a right-arm boulder, hit the mirror button in the app, and illuminate the left-arm boulder. That’s been huge for me as a training tool for myself and also as a coaching tool. Ben: The Tension Board is also still evolving. There are components we want to add; more information to build an environment around the app. 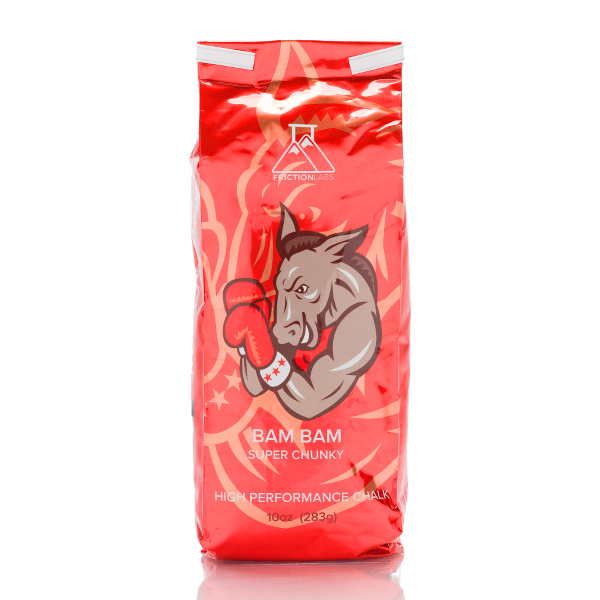 Will: I think we put out a rad product, but this is just the beginning. FL: What do you say to folks who ask if the Tension Board is the same as a MoonBoard? Will: I say, ‘have you ever climbed on a Tension Board?’ The similarities to the MoonBoard on the Tension Board were concessions on our part. We knew we had to make it 8x12, because adding another panel of plywood would be too big, and taking away a panel would be too small. As a coach, trainer, and hold shaper, I created the Tension Board in a way that made the most sense to me. I never viewed them as the same product, other than the fact that they have LED lights and an app. What I’m most thankful for about the MoonBoard is the market that it created. The Tension Board would not have taken off as quickly without the audience that the MoonBoard created. 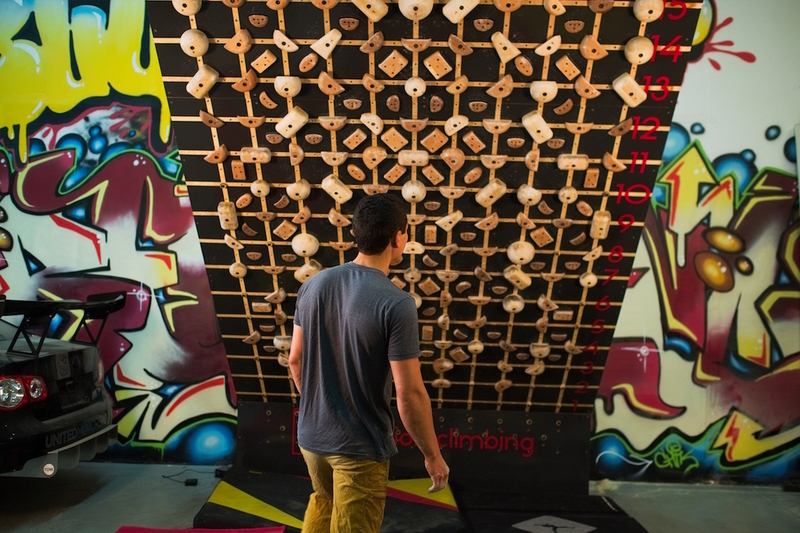 Ben: The Tension Board has lights for feet, a removable kickboard, and you can start or finish your boulder problems anywhere. You don’t have to follow the traditional format, and it’s fine to create a one-move boulder problem with cruxy feet. Will: Yeah, if you want to back step and knee-drop into oblivion, do one of Ben’s Tension Board problems. FL: Noted! For the readers who haven’t tried your products yet, can you tell them why wood is good? 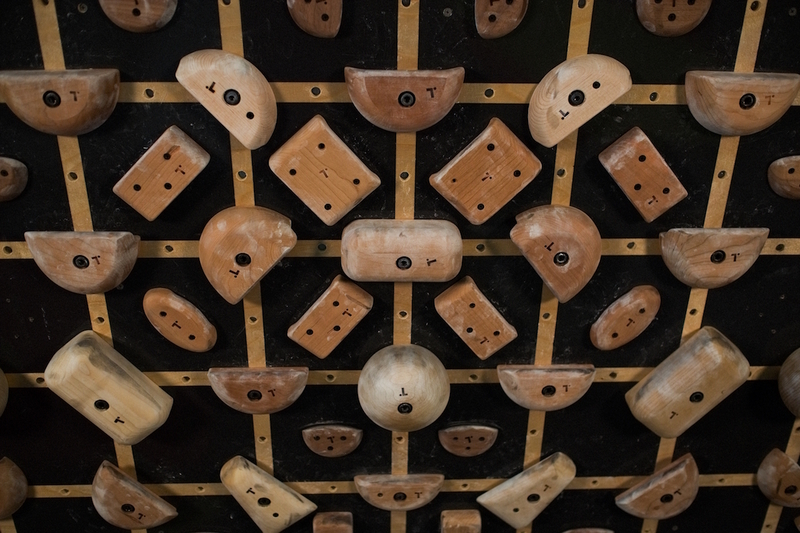 Will: Within the first three months of climbing on wooden holds, I climbed differently and better than I ever had. It was a real eye-opener. We knew wood would save skin and be comfortable and all that other good stuff, but it wasn’t until we climbed on them consistently that we realized ‘Holy sh*t, this is really sick.’ Climbing on wood holds might feel demoralizing at first—there’s a learning curve. But once you get used to it, you’ll notice better accuracy, contact strength, and, well...tension. FL: Two points for punniness. Real quick: What’s the purpose of the Flash Board? Ben: It’s an awesome tube of wood that you can take anywhere. Will: The idea was born when I moved out to CO and started hiking hours into Rocky Mountain National Park to get to one boulder with one V13. There was nothing to warm-up on, except for a heinous hold that would rip my skin open immediately. FL: What are your hopes for the future of Tension? Will: Eventually, we want to do everything. We’ll leave it at that. Ben: Yeah, let’s get back to bowling.